Even if the Christmas holiday is over, our zeal to fill our residential and commercial spaces with aglow never ceases. If you have employed a Christmas Lighting Installation in San Francisco, California, during the “ber” months, it’s time to take those lights downs and prepare a new set of lighting design, as shimmering and lively as how you wish this New Year to be. There’s nothing to worry about because our team at Greenforce Outdoor Light will take responsibility for a total takedown of those lights and safely store them for the next Christmas holiday. We want to make sure that everything is convenient on your side. For most people, preparing for the New Year is as important as preparing for a very important occasion. Of course, you want to start the year right and bright. If you are a homeowner, you may want to set your home anew, in a way that invites positive vibe and good fortune to the entire household all throughout the year. It can be done by rearranging the home furniture, repainting, or redesigning the interior. On the other hand, if you are a business owner, you may try to start reorganizing the office, repainting the building, and most importantly, employing a holiday Light installation. As the New Year begins, it is the best time to begin planning on how you can delight your property and outmatch the previous year’s design. If you think an Xmas Light Installation in California is only useful on Christmas holiday, you’re wrong. Start the year bright. You may want to check out our shop and see which colors and designs suit your taste. You can also take advantage of our ancillary services such as hassle-free installation, maintenance, property-friendly installation methods, and total takedown and storage services. 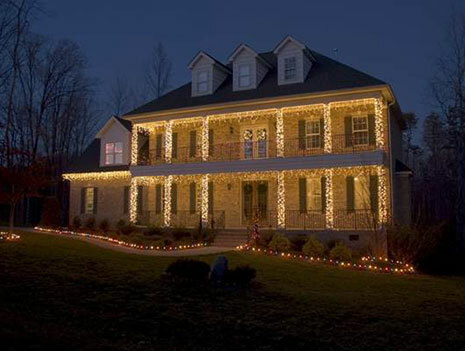 This entry was posted in Christmas Lights and tagged Christmas holiday, Christmas lighting, Lighting System, Professional installation, Xmas Light. Bookmark the permalink.